New Horizons will welcome actor Brant Daugherty, of ABC Family’s “Pretty Little Liars,” to be part of the 14th Annual “Havana Nights” themed gala to be held at Los Calamigos Ranch at the Los Angeles Equestrian Center in Burbank, CA on Saturday, April 18, 2015. 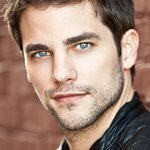 Brant Daugherty, who has used his talent to help raise funds for New Horizons in the past, will be hosting the 14th Annual Gala. Daugherty will be front and center during the evening’s awards ceremony which will include presentations to PDC – A Brady Company; Patrick McClenahan and the 2015 Special Olympic World Games; and singer, Clay Aiken, who will be honored with New Horizons’ Celebrity Advocacy Award. “Each year, New Horizons hosts a themed Gala to raise funds and celebrate those who have helped in supporting the agency’s mission. This year we are proud to present a night that will be both entertaining and heartwarming, showing all those who attend the work that New Horizons does throughout the year.” states New Horizons’ President and CEO Cynthia Sewell. The evening will also consist of various musical performances by Torrey DeVitto, members from ABC’s “Dancing with the Stars,” the Karina Smirnoff Dance Studio, and the award winning UCLA Latin Jazz Band. The gala will also feature both a silent and live auction, along with a few other special surprises. For ticket information and to find out how to become an event sponsor, contact Judi Pennella at 818-894-9301 or jpennella@newhorizons-sfv.org. New Horizons is a nonprofit organization whose mission is to empower individuals with intellectual disabilities to fulfill their dreams. Through partnerships, community education, and advocacy, we create a brighter future in which our clients are accepted by, participate in, and add value to the community. New Horizons has been serving adults with developmental disabilities since 1954. For more information about New Horizons, visit www.newhorizons-sfv.org.